Nancy Gideon... Romance By Any Other Name: WeWriWa: Trimming the Fat, My Personal Struggle with Editing . . .
LOL That's where I was last week. Have fun with that hatchet...or scalpel. Good luck! Chipper shredder? Almost done . . . but I'm sure another pass is in the near future. And he avoided the nice part. Great snippet! Hmmmm. Could be on purpose? Thanks, Jessica! Shame on you, Sandra. There'll be none of that (Yes, there will!). Good luck with the editing! I enjoyed the snippet, a little too mean and lean for me, kinda close to talking-heads almost, probably because I wasn't happily reading along in the book itself (yet) and came to this passage as just part of the flow! 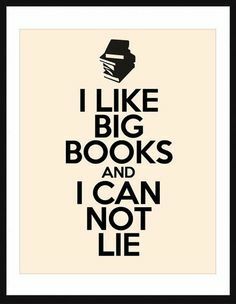 Personally, I go with my gut on my books, not anyone else's. I have a great editor but I don't always listen to her LOL. I did LOVE his answer to the heroine in the snippet, really made me smile. Well done! It's from a much more meaty scene but I loved the playfulness of it. Love the hints about Kip’s family. As a fellow wordaholic I feel your pain! I know. How we struggle . . .
Wow! I am not worthy! I'm only down 4K of the needed 8. Sigh. Great snippet. It made me smile. And good luck with the editing! It can be painful! And it doesn't even hurt so good! 2nd draft - DONE! I don't like to cut scenes either. Good luck with the editing. I don't thing of it as cutting. I "extra content"! When I began my writing career and knew nothing about writing, words came to me in my sleep. rereading my books now, I'm bowled over by the well written stories. No editing just writing. Now, years later, I must contact my mentor, my son in Denmark. He corrects, offers changes and slowly my latest story grows. YIKES! It isn't easy. Best wishes always. LOL! I hear you Charmaine! My hardest problem is making sure I don't re-use those words (after 70+ books, it's a struggle sometimes to find a new way!). Thanks, Amy. I'm a screenplay writer at heart - say it all in dialogue. Love the little details - elbows on the table. Great! Good luck killing your darlings! Thanks, Caitlin! Killing my darlings . . . That's sounds about right. They're s cute together. Sigh. Youth . . .
Love the dialogue. And wishing you all the best on editing! Thanks!! Clutching at all those good wishes! Ha! Very cute. Being called "nice" is the kiss of death, so I'm not surprised he avoided it. And "nice" isn't a word I'd used to describe any of them! Great dialogue - good luck with the editing. I actually have the opposite problem -I write 'short' and then have to flesh it out, which I think is probably easier! Much easier! But that's what the rewrite stage is for, the + and -ing. Haha! I love his answer--tall or good looking? Thanks, Teresa! I love it when the characters are more clever than I am. Makes the job easier.